With presence in more than 70 countries and a commercial network that operates worldwide in Gratacós we are a benchmark for large design firms and Haute Couture, that with loyalty and trust guarantee our professionalism and experience. Our own space in Barcelona and the permanent showrooms in Madrid and New York are just a shred of our presence in the main European markets, as well as in Russia, China, Saudi Arabia , Kuwait, the Arab Emirates and the most emerging countries in South America. In Gratacós we have been offering for more than 75 years tradition amd innovation in all products, especially in terms of textures and colours. We are an important trends agent, that is why we investigate in design and development of fabrics, as well as establishing style guidelines on a global level. This coolhunting work is recognized with the presence of our Design Director, Rosa Pujol in the Premiere Vision Committee of Fashion. 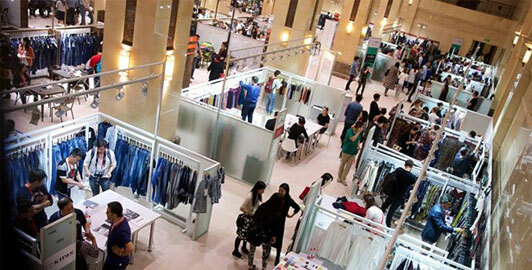 In addition, the company attends the most important international fairs in the sector where relationships between customers, designers and garment manufacturers are strengthened. Located in the center of Barcelona, the Gratacós shop is our multidisciplinary space designed for fashion professionals and fabric lovers. In addition to retail sales, the boutique is not only an international showroom for the firm, but also a multipurpose space that becomes an R & D lab for textile and training centre for students and young designers. Because since 1940 in Gratacós we know that the future is the greatest inspirations, for this reason we keep up with innovation and technology to maintain the quality of the fabrics with the latest trends in the market.